Are you a practitioner working with teams in the area of creative thinking, ideation, corporate play, etc.? Would you like to share ideas and get feedback from like minded individuals working in the same field? Learn new ways to inspire teams and have access to downloadable tools? 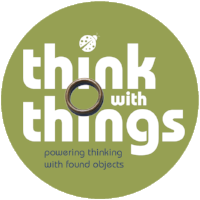 If yes, please consider becoming a member of our Think with Things online community set to become public by summer 2018. We are working on all the details including the membership fees. Our first steps are in May 2018. We are hosting our first training certification program in Brussels and Gent(Melle). The participants of this will become our first online community members, helping us make it an amazing place for you to join. If you are interesting in finding out more or being notified when we launch, send us a message. We would love to hear from you.